The N4C advocacy priorities focus on three important dimensions of early childhood care and education at our two and four year institutions of higher education. Access – working on behalf of campus communities to encourage higher education institutions to provide program facilities and capacity that adequately address the need for child care and quality early childhood education. 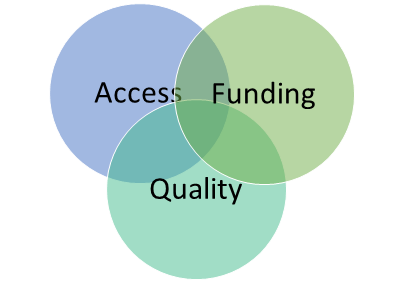 Funding – seek development of and access to funding mechanisms that facilitate affordable care and education for student parents, campus faculty and staff. Quality – ensuring that campus children’s centers provide the highest quality early care and education so that their use as resources for professional preparation programs and researchers will promote best practice and improve the lives of children and families. The following public policy positions are based on the N4C statements of mission, philosophy and purpose; and on the history of positions taken by the organization. These Core Positions represent basic assumptions that board and staff can use when making decisions related to public policy. They are a guide to help board and staff members articulate where N4C stands on key issues in the field. Campaigns that establish teacher support such as Worthy Wages. 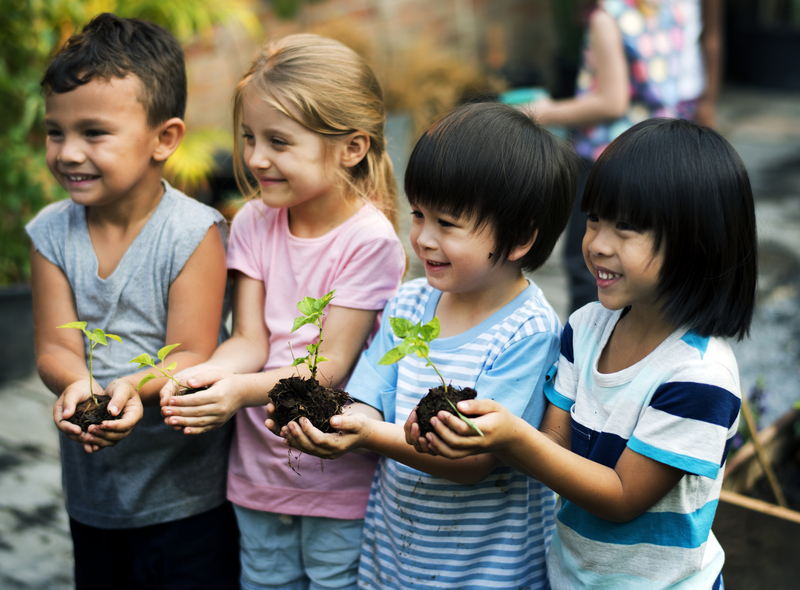 Appropriate projects that make campus based children’s programs more affordable to parents. Enabling campus child care programs to meet the educational, research and service needs of the institution and community at large. Compensating early childhood teachers and other employees adequately in terms of salary and benefits. Allowing for a wide variety of models and approaches to encourage diversity and the reflection of ethnicity, different cultures, and different languages. Representing the interests of all children and families on campus to the broader educational and social arena. These core policy positions give N4C board members a sense of the kinds of issues that N4C supports. N4C is most frequently asked to support these items, but from time to time the organization could be asked to take a stand on something that is not clearly included under these positions. 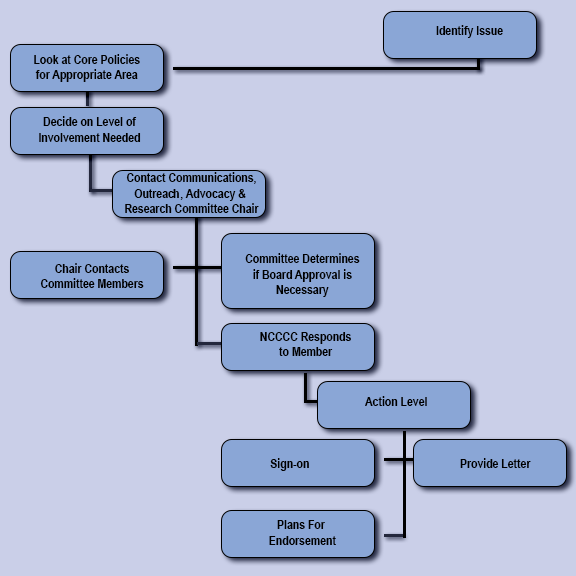 New issues must first come before N4C’s Advocacy Committee. The committee then makes recommendations to the Board, which is ultimately responsible for whether or not the organization will support the new issue. Have a clear “ask,” know what you want. Propose clear solutions. Listen – Take the time to really get inside the head of those you seek to influence. Language – Focus on their language. Use the language that will most successfully influence the policy maker. Leaders – Look for new leaders. Who are the two or three new leaders who can help put the message across? May have to share or give away some leadership. Loosen up – Avoid moralizing on behalf of children. Quality Contacts – the person who can deliver the message directly. Who will call you back in 15 minutes. Quantity Contacts – grass roots, allies, etc.